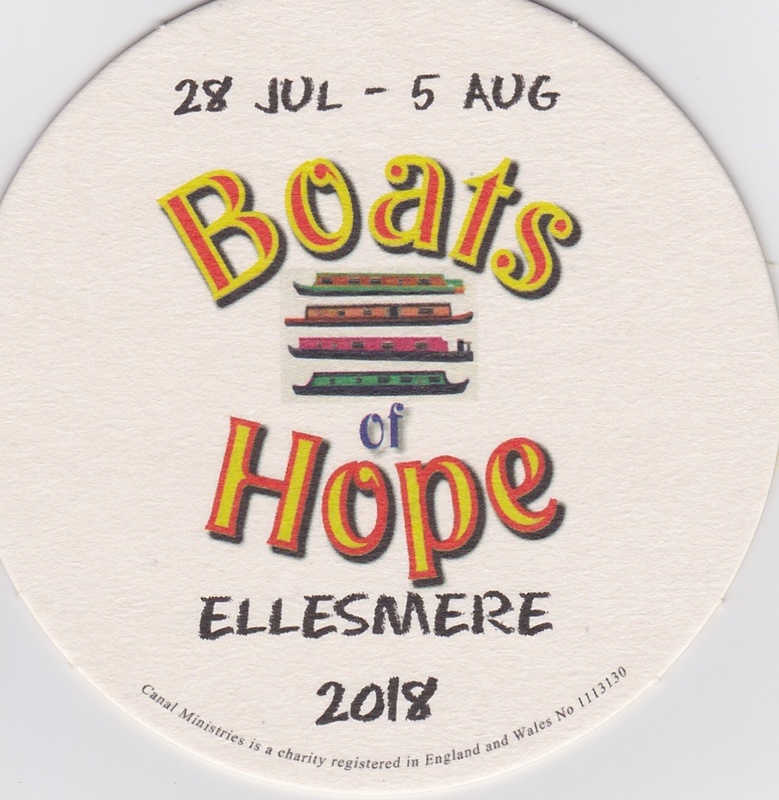 The Boats of Hope calendar for Ellesmere 2018. Team arrive. Day will be informal with no set public event but we will be around boats and are always available to have visitors etc. 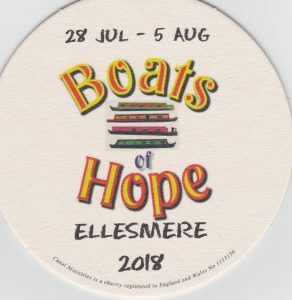 We will be decorating our boats with banners and bunting, maybe some lights. AM. Team will be at various services around Ellesmere, we will be speaking at the following – St Andrews Welsh Frankton, Ellesmere Methodist and St Mary’s Duddleston. Rest of team at The Cellar Church, the team will be interviewed about who/what Canal Ministries are/is and the plans for the week. 18:00. Open air service on towpath to open the mission. 10.30-16.30. Boats open for Visitors. 11.00-12.30. Coffee morning by boats – Open to all. 19.30-21.00. The Cellar Church House Group 1 to come and visit boats including a short bible study/discussion. 20.00-late. Folk Evening with Gabriel. Ellesmere Hotel. Click here for more details. 11.00-12.30. Informal Story telling – Craft – Games for anyone who wants to take part. 19.00-21.30. Testimony from Blind Boater Tracey, with music by Gabriel. Ellesmere Methodist Church. 10.00-11.30. Coffee Morning at St Andrews, Welsh Frankton. Short talk from some of the team. 19.30-21.00. The Cellar Church House Group 2 to come and visit boats including a short bible study/discussion. 18:30. Youth Club Music and games evening at The Town Hall with Mocktails and Tuck. Download Poster. 10.30-16.00 – Open Fun Day at the boats. Download Poster. Music and worship songs led by James and Hazel. 18.00-19.30. We will be leading a joint service with The Cellar Church at the Town Hall. Evenings during the week: We will be serving hot drinks and biscuits from boats to young people who hang out there.